WHERE TO USE IT: Outside on the foundation wall creating a wide band of treated surface to stop spiders and scorpions from coming inside. You may need to spray the whole side of a building if the migration is severe. Also use it along the border of where mulch, turf and cement meet. Can be applied around plants and shrubs, air conditioners and decks. 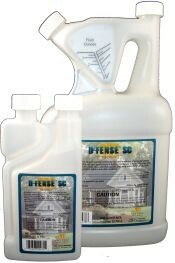 RATE OF APPLICATION: 1-2 gallons are usually needed with the initial application to control migratory pests. You may be able to decrease the amount of material being applied once the activity of the spiders decreases. You may need to treat every few weeks for several weeks in bad seasons. I have 90+ rental properties to keep bug free. Both items were received in a timely manor. Follow the directions and spray away. Both products are for specific pests and usually I don't have to re-treat anything for a few months. I have a centipede in my room somewhere but what do I do to kill it? It is lost in my room and I need to get rid of it asap! 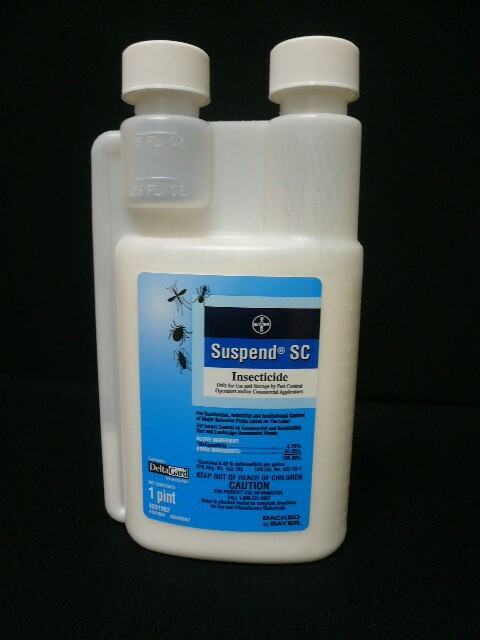 If you review our centipede control article, you'll learn you have two options which will help. The first is to set out some traps. These work really well and have proven effective for a range of predator pests like centipedes, scorpions, crickets, beetles and more. And ideally, treating with the PT-221 listed in our article will kill any in the room within a few hours. If you get this product, you'll want to spray all cracks and crevices where it might want to hide. Lastly, both products will help in the long term control of this pest so that any room you treat with both won't get this pest or any other for that matter.